Hi friends! Today I'm sharing a project using dies by Tutti Designs! 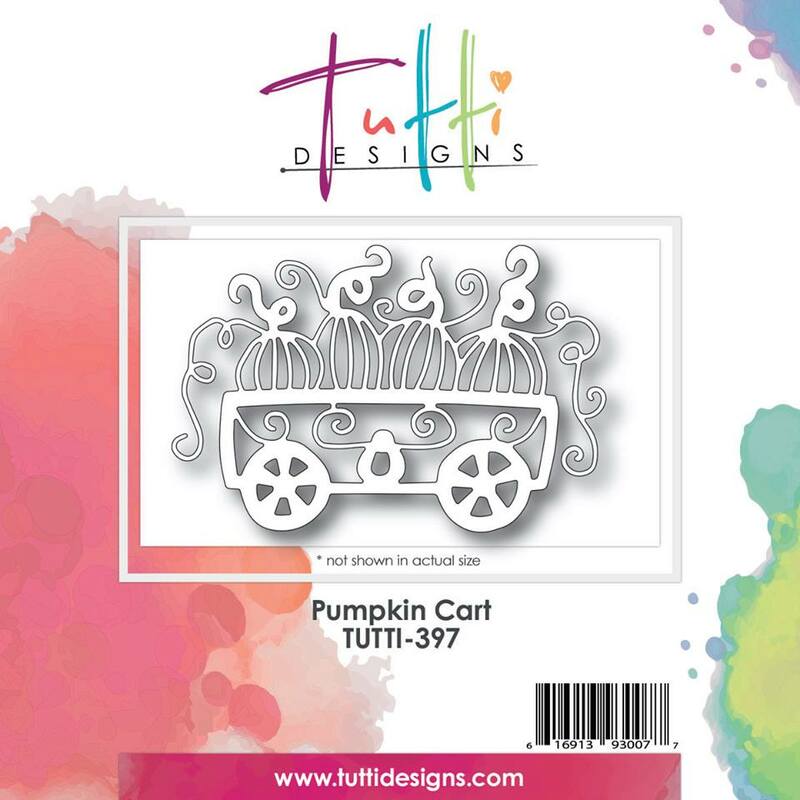 Tutti Designs has been busy creating away so many fabulous new dies so be sure to stop by the store and check out the new August release of Fall and Halloween Dies. Today I have a Fall card to share with you, I wanted it to have lots of texture so I added some corrugated cardboard and some burlap. I started out by embossing the card base and then inked the edges. Add the burlap, cardboard and Pumpkin Cart die cut to the center and embellish it with leaves and flowers. Add some twine and your card is done! Tutti Designs dies are just so intricate and beautiful! There is new releases available in the store so keep watching because there is MORE TO COME so keep checking back daily! Giving cards is one of the most personal, thoughtful and encouraging things you can do for a friend or loved one. All too often people send a text or use social media to send sentiments to people who sometimes could use a little more personal encouragement. The smile on a friend or family members face is worth it! Tutti Designs has so many fun dies for all occasions, be sure to stop by and check those out too! Our design team is here everyday so be sure to stop by and let them inspire you to create your own beautiful projects!! and check out all of these fabulous dies. The team has something new to share here on the Tutti Designs Blog EVERY DAY! I'll be back again next Thursday with a new Tutti Designs project. Thanks for stopping by the Tutti Designs blog today! Christmas Silhouette with Deck The Tree. Orange and Purple Gravestone card. A Fall Birthday . . .
A spooky card with a spooky house. If the shoe fits . . . Autumn with an Acorn Frame.